This innovative and unique conference brings together inspirational speakers from across the globe to present their creative projects. These projects have the potential to open new ways of working and developing innovative ways to support people with dementia and their carers. There is widespread recognition at the highest level of all governments around the world about the present and future impacts of dementia. The search for ways to enhance the quality of life for those affected is a constant and complex one. 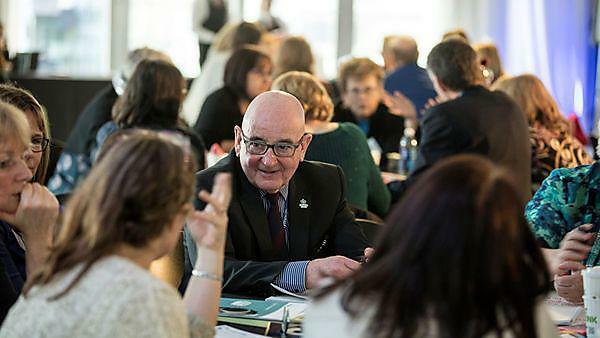 The aim of the conference is to share ideas and thoughts on dementia care and research which have the potential to open up new ways of developing fresh perspectives and ground breaking solutions that help overcome the challenges faced by people with dementia and carers every day in their lives. Ian Sherriff introduces some of the partners working to transform the quality of life for people with dementia and those who care for them in Plymouth. Watch this space for dates and information regarding the 2018 Plymouth Dementia Conference.